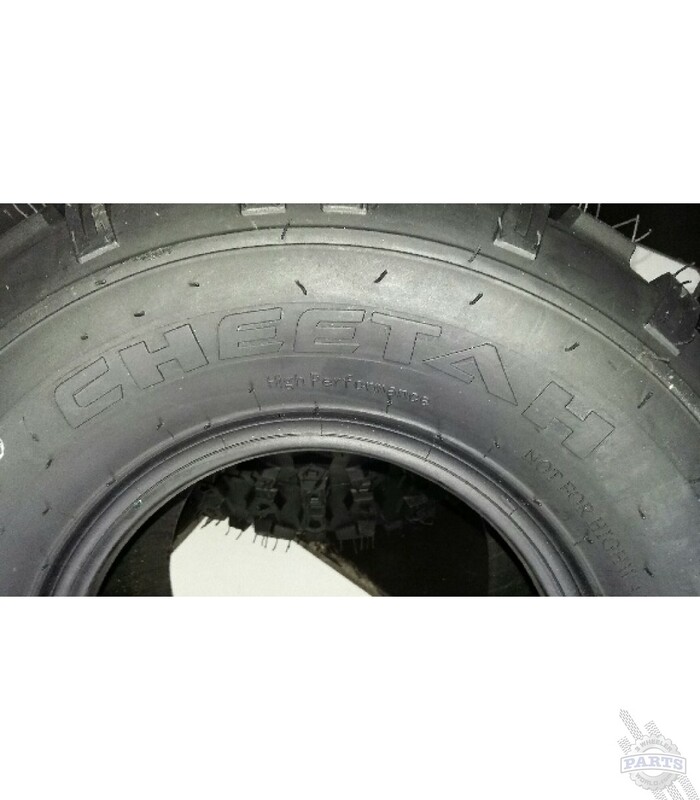 The Cheetah HP577c 20x10-9 Tire is reproduction of the extremely popular Dunlop KT577 that was originally equipped on 3rd generation ATC 250Rs. 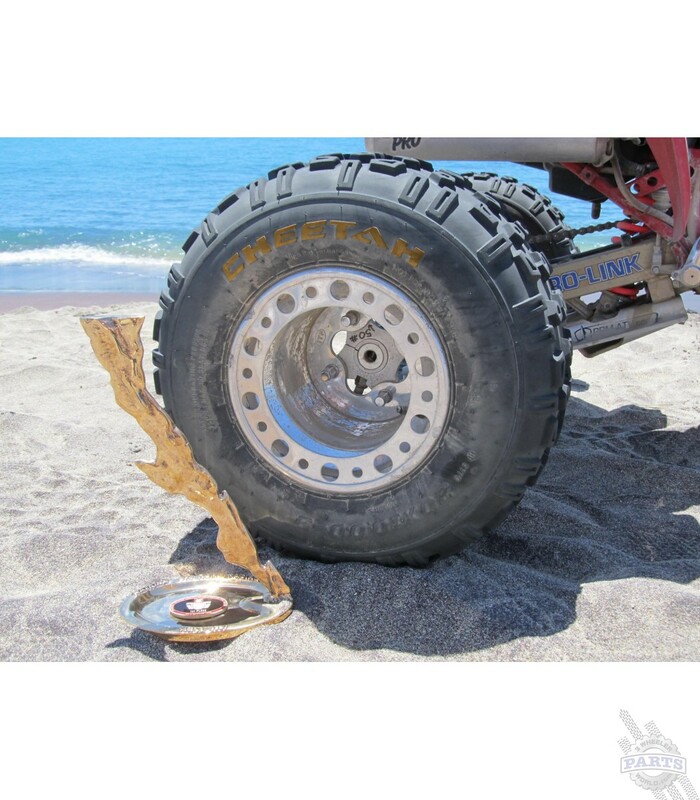 Widely regarded as the "Best Ever" all around tire, this aftermarket replacement takes the original design and improve son it with slightly taller tread and a 4 ply design. 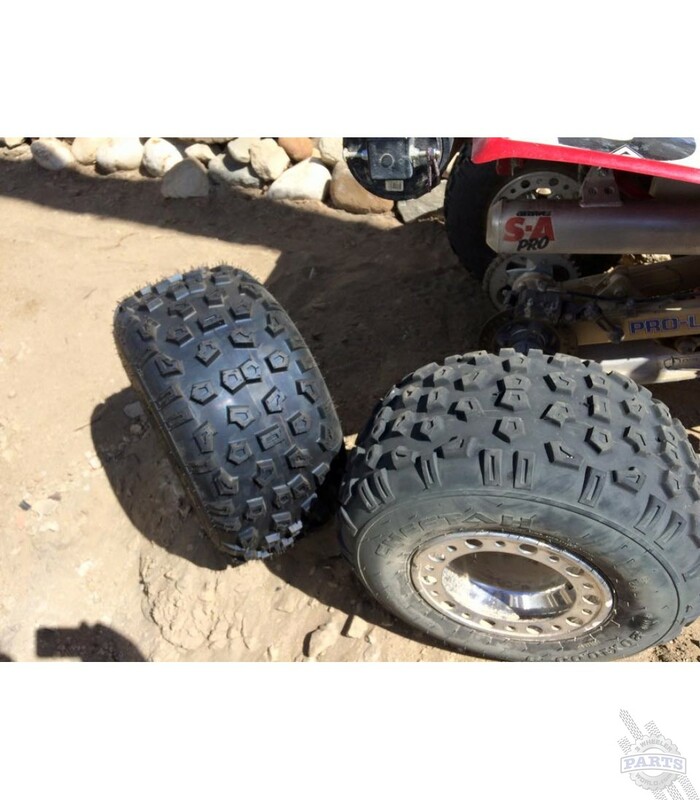 BAJA desert race tested by Team Dynamically Unstable Racing during the NORRA 1000 race early in 2015. 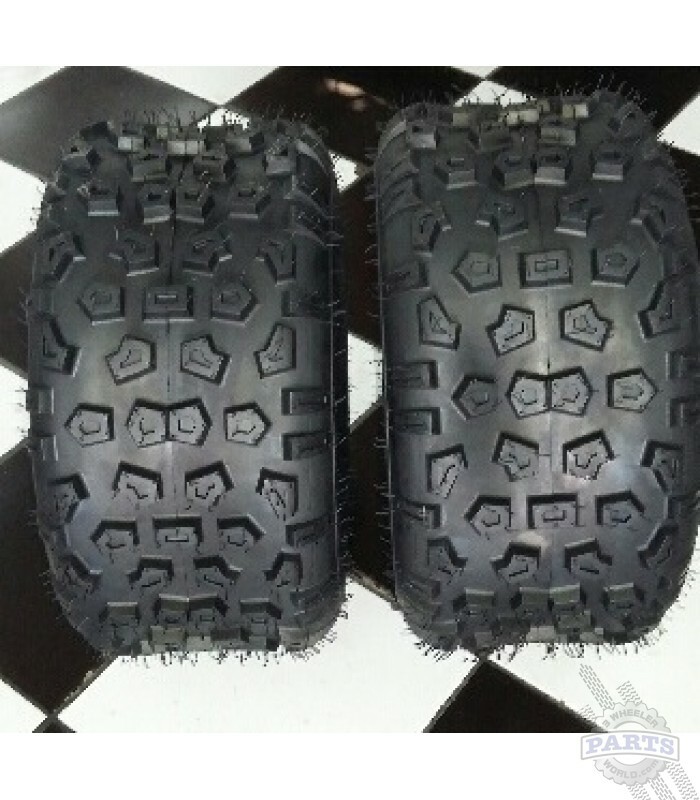 They went the entire 1,000 mile race on the same set of tires. 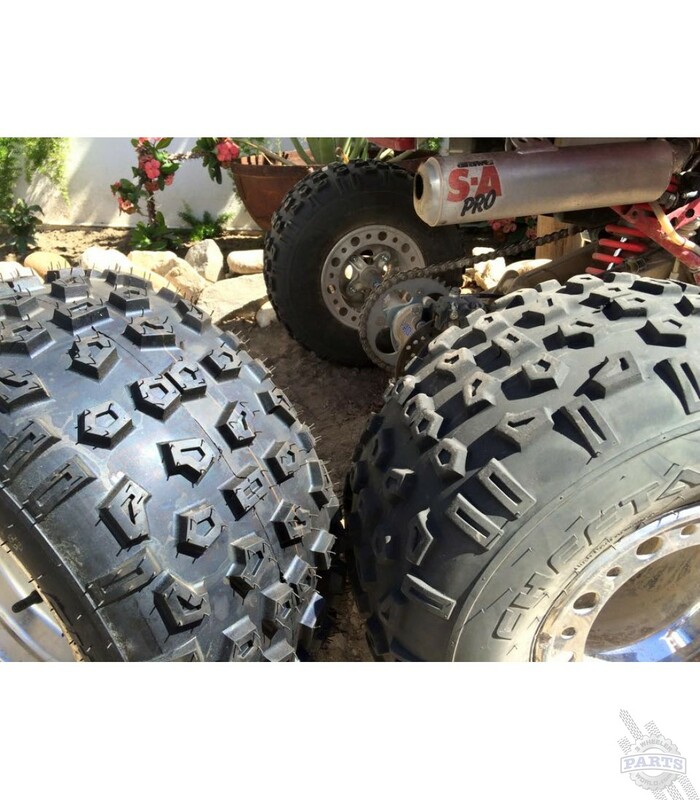 THATS proof in the pudding!- Max Ground force racing tire is designed to suit the weight, horsepower and handling characteristics of the model for which each tire was designed. 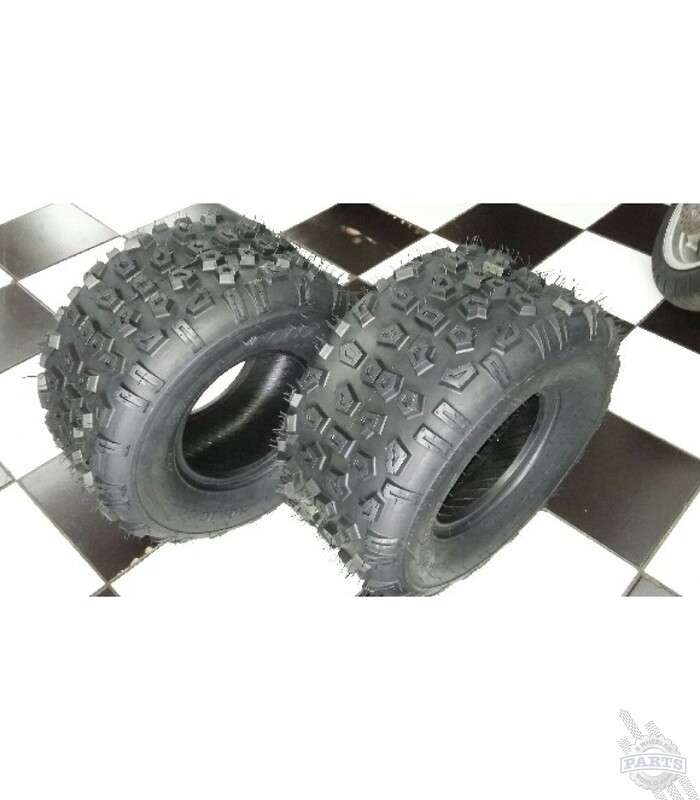 - Available in MX trail racing performance compound and drag racing performance compound. - Designed and manufactured to deliver a new generation in high performance level. 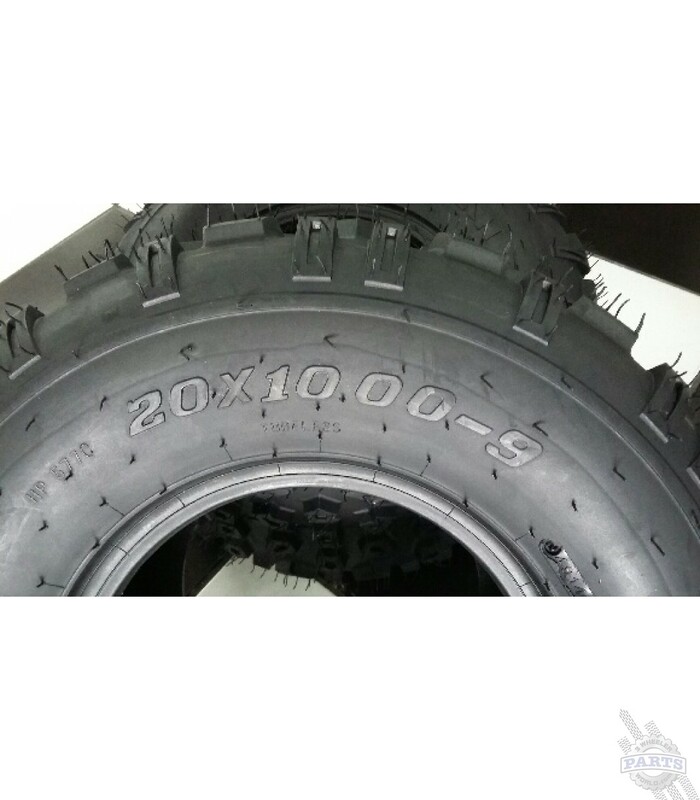 - High-performance rubber compound provides exceptional aggressive hook-up on hardpack, along with an aggressive tread pattern pulls strongly through soft loam, making it a number #1 choice in performance tires. - Lightweight construction reduces weight for unmatched traction and acceleration. - Low-profile 4ply construction reduces bounce and enhances high speed control. Inflated Width/Measuring Rim Width: 10.24 in. Acceptable Rim Width(s): 10 in. / 9 in. / 8.25 in. Deepest Tread Depth: 1/2 in.